We use PrimaLoft® insulation inside insulated garments for its warmth, compressibility, and soft comfort. While the human body uses energy to stay warm, PrimaLoft® insulation uses a patented microfiber structure to help the body retain warmth and conserve energy. PrimaLoft® has a variety of products to meet specific needs. The proprietary ultra-fine fibers of PrimaLoft® insulation form a tight collection of air pockets that trap heat from your body and keep the cold out, providing an excellent warmth-to-weight ratio. When insulation gets wet, it loses these air pockets and consequently, its insulating properties. PrimaLoft® ultra-fine fibers were developed to be water resistant so your insulation stays drier and maintains its insulating properties. The fine fibers create a tight surface tension that won’t allow water to pass through the insulation. Specifically-developed fiber finishes repel water and keep the insulation drier, even if water is forced into the insulation. Fiber diameter directly influences softness. For example, if you compare canvas fabric to silk fabric you’ll see that the finer silk fibers result in a softer material. So PrimaLoft® fibers have been engineered to be ultra-fine and mimic the softness of down. Finally, the ultra-fine fibers of PrimaLoft® insulation mimic the compressibility of goose down and are breathable, allowing moisture vapor to be transported through the fibers and away from the skin. 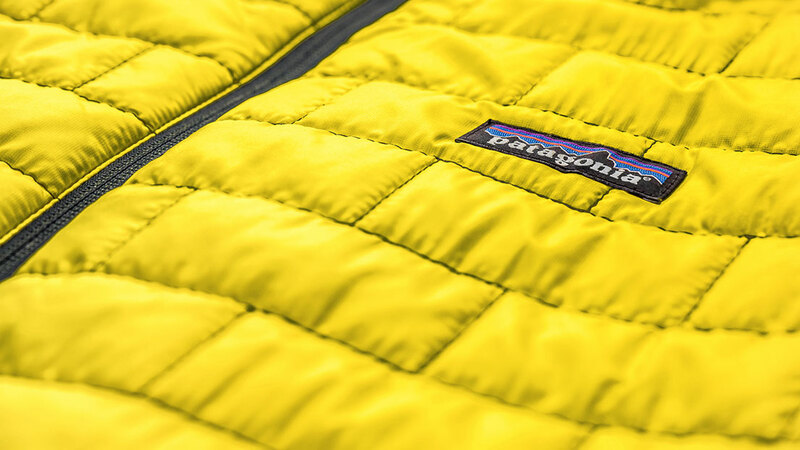 PrimaLoft® Gold Insulation is a premier microfiber insulation that mimics the softness and packability of down. It’s compressible, breathable and offers superior water repellency so you remain dry, warm and comfortable even in extreme conditions. PrimaLoft® Silver Insulation Hi-Loft is built with two different sizes of fibers, for high thermal values and incredible loft. It’s comfortable, durable and retains 85% of its insulation value even when it’s wet. PrimaLoft® Silver Insulation Eco is made with 70% recycled polyester and provides superb thermal efficiency, water- and wind-resistance, compressibility and breathability. It uses post-consumer recycled material to create a high loft, thermally efficient, earth-friendly insulation. Approximately 28 recycled bottles are used in the making of each kilogram of PrimaLoft® Silver Insulation Eco, which equates to approximately six bottles per garment.